After having micro-ring hair extensions in my hair for over two years, I went cold turkey on my trusty weave a few weeks ago, when I had my hair done with Olaplex at my local Toni and Guy. The bright orange colour remained vibrant for much longer than my usual at-home hair dye – but unfortunately roots started to appear so I thought I’d go for something a little different when I dyed them this time! I’ve not had pink hair since I was about 19, and 10 years later I still feel like I can *just* about get away with it. And if I can’t I’m just going to put it down to a mid-life crisis. My natural hair without extensions is so straight I look like washed up Kurt Cobain fan if I don’t style it in some way. When I had extensions in I could curl them and the waves in my hair would last for 3-4 days until the next wash. I’ve had no such luck since taking them out though and my natural hair is so thick and heavy the curls and waves just drop after a day. I was kind of dreading my hair at Leeds Festival this year, as I knew after day one it would just go flat, straight and boring. When my hair is up is emphasises my big ol’ round face, so I knew I needed some kind of solution! 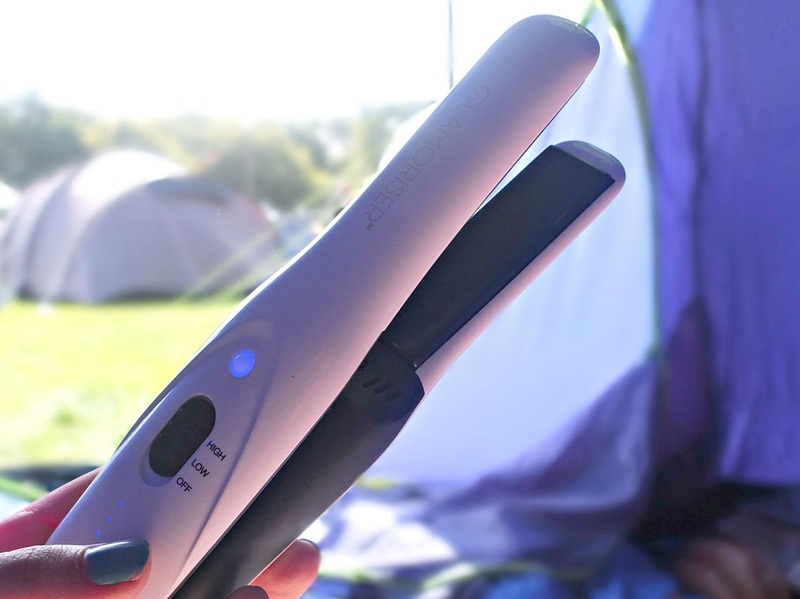 Thankfully, these Glamoriser Cordless Straighteners from HQHair landed on my desk a few weeks ago and I knew they’d be just the thing I was after for Leeds! You simply charge them up for a few hours and they hold the charge for around 40 minutes each time. I’ve managed to use them out and about a few times now and they’re still working absolutely brilliantly! 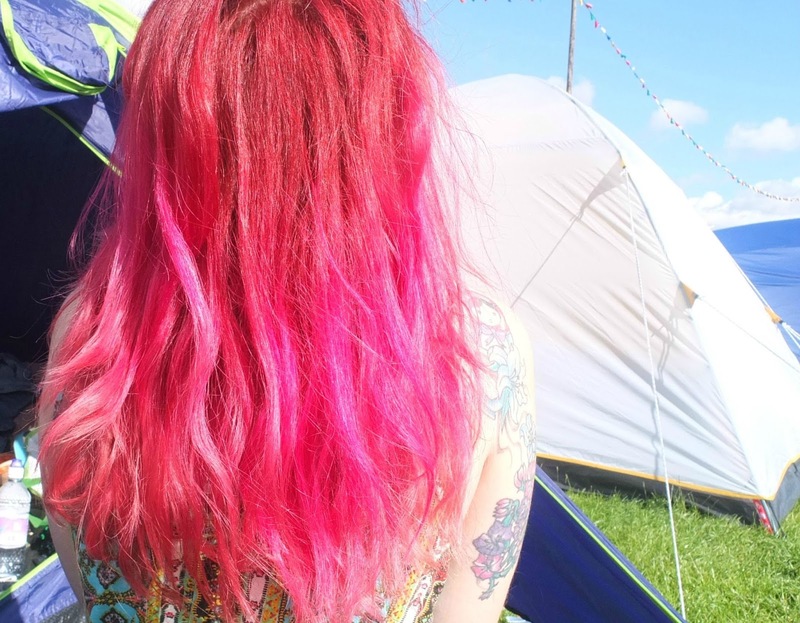 As it only takes me about 10 minutes to pop some waves in my hair with them, they lasted the full 3 days in a field and despite the roots of my pink hair getting a little greasy, it looked passable the whole bank holiday weekend! The feel of it was a different story though, ew greasy roots… But as long as I looked good, who cares, right? I have a hair dryer from the same brand and I’m still impressed by the power of that bad boy when it comes to drying my locks. As they Glamoriser Cordless Straighteners are travel size, they discretely fit in your handbag – so if you’re the type who pays for those straightener ‘vending machines’ in night clubs (yes guys, these exist) then they might just be the investment product for you! I’m kind of upset that I nabbed them just towards the end of Festival Season, but I’m sure they’ll be ultra handy for next year and beyond!